While Kaizer Chiefs are yet to confirm that they have finalised new deals for the likes of Hendrik Ekstein and Ryan Moon, Soccer Laduma takes a look at 10 players who have left the club as free agents in the past. The likes of Gustavo Paez, Joseph Malongoane, Ekstein, Ryan Moon and Joseph Malongoane will all see their contracts come to an end on June 30, this year and while Siya sources have indicated that Chiefs are looking to finalise new deals for Ekstein and Moon, these players could still leave Amakhosi on a free at the end of the season, should they not put pen to paper on an extended deal. Do you think Chiefs should lose the likes of Paez, Ekstein and Malongoane on a free at the end of the season, or should they be given an extended deal? 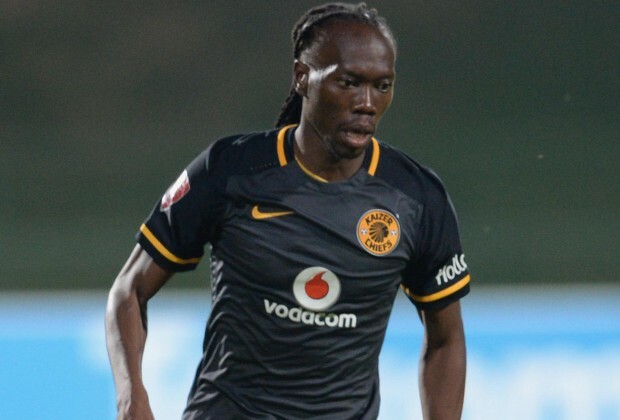 MPHAHLAHLA,PHAKHA,MUNI,EKSTINA ,KATSANDE,FROSTA(WHO WAS TESTING THIS GUY(ACCESSING DURING TRIEL)THAT PERSON IS USELES FOR DECLARING THIS BOY TO BE FIT TO BE KING PLAYER THATS WAS AN INSULT KULETHALENTE ELINGAKA LAMZANSI.I CAN GIVE CHIEFS A PLAYER THAT CAN PLAY WITHOUT SALARY AND PLAYERS FAR BETTER THAN THIS GIRL.JAYIYA PAEZ.MOONS ATTITUDE MMMHH THESE PLAYERS THEY WILL FINISH YOU COACH WAKE UP BEFORE IS TO LATE.KOMPELA,SOLINAS HAVE GONE BECAUSE OF THESE PLAYERS AND OTHERS ON THE ONJURY LIST,MIDDADORP SHOUL ACT FAST BEFORE ITS TO LATE HIM. Parker,eksteen;mphahlala,moon, jayiya,paez,kastande,frosla,ng ezane must be loan out and parker.CHIEFS CAN BE A MAJOR FORCE WITHOUT THESE PLAYER.PARKER HAS NOTHING TO OFFER EXCEPTION.HE IS THE ONE SHOULD LEAD EXIT DOOR FOLLOWED BY EKSTEEN THESE PLAYERS ATTITUDE IS NOT TAKING CHIEF ANYWHERE.MIDDERDOP IS AFRAID OF CERTAIN CHIEFS PLAYERS.LAKE OF TOGETHERNESS AND HUNGERS IN SOME PLAYERS IS DESTROYING HEARTS MILLION OF FOOTBALL FAN.SOME OF THE CHIEFS PLAYERS SHOULD BE BLAME FOR WHAT HAPPEN IN MOSSES MABIDA WHEN FANS INVADE THE PITCH.THEY STILL DONT SEE THE COURSE THAT IT WAS BECAUSE OF SOME PLAYERS OTHERS ARE ON INJURY LIST.WE NEED TO WATCH GAME WITH OPEN SOBBER MIND SO THAT U CAN SEE ALL OF THIS.PARKERS SHOULD LEAD TO THE EXIT DOOR HIM AND MPAHLELE.